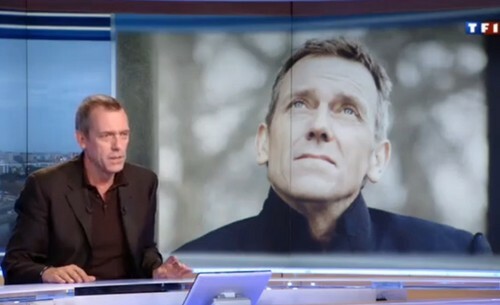 Hugh Laurie Interview with TF1 - abril 2013. . HD Wallpaper and background images in the Hugh Laurie club tagged: hugh laurie actor appearence public music blues 2013 'didn't it rain' new album. This Hugh Laurie photo might contain mbali, mbali kompyuta, and ngamizi ya pajani.